Hardly a week goes by that I do not have some version of this dish. I made a bunch of sauce on 5/9/18 and froze two containers of it. The first time I used it, I diluted it too much. this time it came our perfectly after a little reducing and the strategic addition of fish sauce. It gives it such a great depth of flavor. 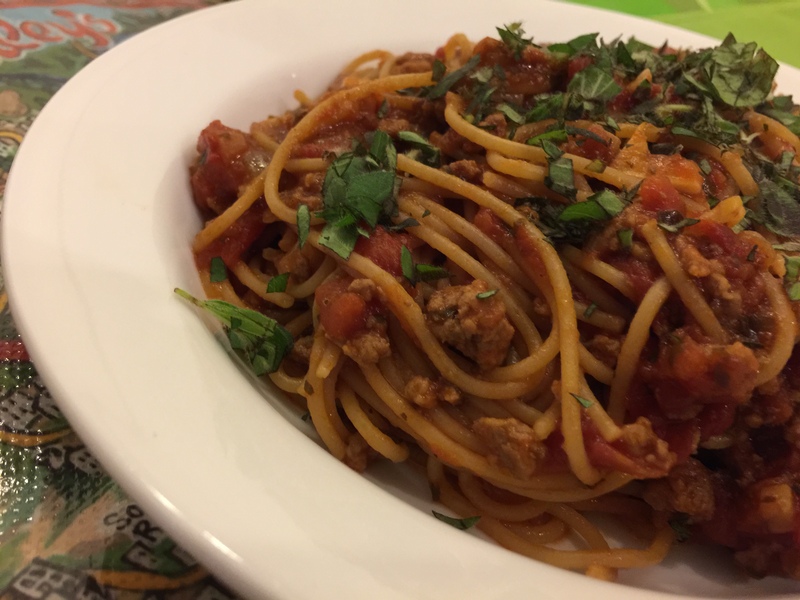 The reason I call it Bolognese-ish is because it does not contain any dairy and only ground beef whereas true Bolognese usually has beef and pork components and milk. I like mine just fine and it is a lot less time consuming. 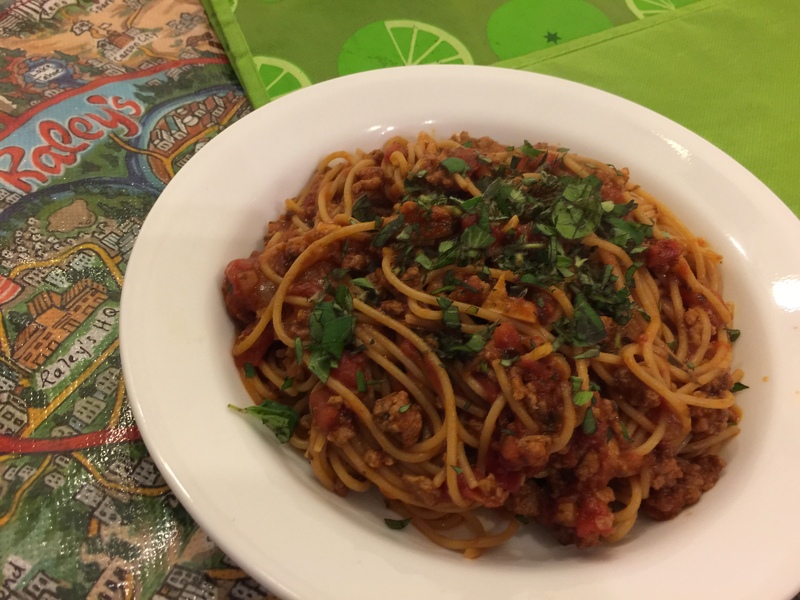 This entry was posted in Beef, Pasta, Vegetables and tagged Bolognese, oregano, pasta, Spaghetti. Bookmark the permalink.